Founded in 1965 the Meiklejohn Civil Liberties Institute (MCLI) is accepting applications for internships. MCLI is an organization that works to enforce Human Rights law in the United States. To do this MCLI organizes with social movements, monitors human rights violations and reports them to international monitoring bodies, and facilitates public and continuing education through events and publications. 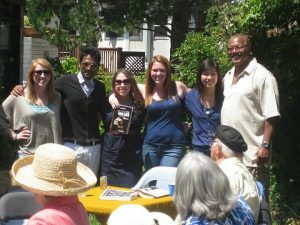 MCLI has always been part of a multi-generational movement, inspired by elders and youth alike. Our mission to build the leaders of tomorrow’s movements centers around our tradition of training interns. MCLI now boasts over 400 intern alumni, many of whom now practice law, teach, and/or work for non-governmental organizations domestically and internationally. MCLI interns will assist with the Human Rights Reporting Project, gaining valuable knowledge on how to use international treaties in U.S. courts, he work of the U.N. and O.A.S. human rights monitoring bodies, and the role of local and state governments in the human rights reporting and monitoring process. MCLI interns will assist with the national effort to accurately document U.S. human rights abuses, and to monitor the U.S. Government’s compliance with its international human rights treaty obligations, including crucial follow-up work on the U.N human rights monitoring committees. MCLI interns will connect with current grassroots movements to bring social justice issues within a human rights framework. MCLI interns will work directly with grassroots leaders, coordinate campaigns, develop policy, and mobilize to directly address human rights violations on the local, state, or national level. MCLI interns will always center the voices of the members of communities directly experiencing human rights violations and assist with building alliances among diverse groups of people and organizations. MCLI does not have funding to provide stipends for interns. However, MCLI will assist interns seeking financial support from schools, institutions, or foundations.